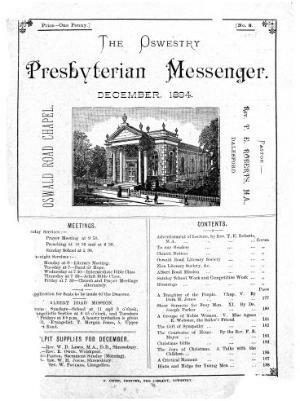 A monthly religious periodical swerving the Presbyterians of the Oswestry area. The periodical's main contents were religious articles, denominational news and serial stories. The periodical was edited by T. E. Roberts.